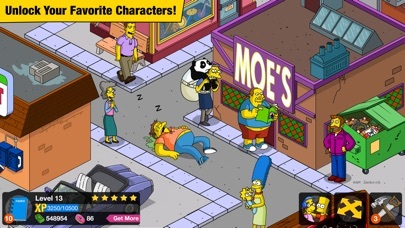 Though Tapped Out is fine on its own, it’s fantastic for a Simpsons fan. 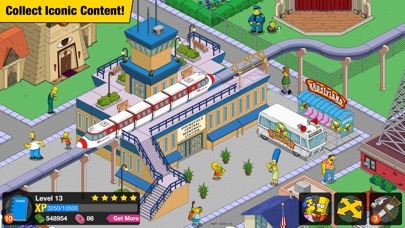 You have the ability to build your own Springfield, to arrange it however you’d like, and to fill it with all kinds of things, many of which are recognizable from the show. Though it’s another one of those tapping-and-waiting games, its satire humor, busy quests, and hidden secrets typically do well at reducing any boredom. There aren’t too many issues to note, but there are some strikes against it. First, the friend system. 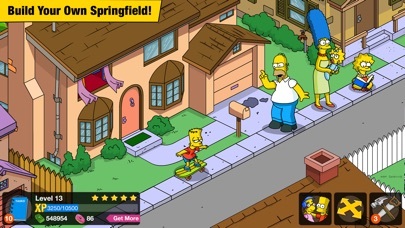 The game greatly encourages you to link up with friends that also use the game so that you can benefit from each other by visiting each other’s Springfield. The current system of adding friends has two methods: by each other’s EA accounts or by email/text. So far, doing it by the second option is buggy. Similarly, there’s only one option for a save data backup: logging in with an EA account. Plenty of other games provide backups with services like Facebook or Google, so it’s a bit of a hassle to deal with. My biggest complaint is the updates. For some reason, I’ve had to repeatedly download almost a gigabyte of updates for the game, even though it already had them. It typically happens twice a week or after I’ve turned off my phone. I don’t know if it’s a bug or not, but it is becoming a nuisance. Aside from those flaws, I still enjoy the game a lot. I just wish I wouldn’t have to wait for updates I already have. Nice game, fun to play however updates every time you open to play again is redundant and questionable. Literally, every time you open the app there is another update or this may be the same update again and again, it might be stuck in a loop, either way it is a bother to keep logging in and having to update repeatedly. I do not want to loose any of the previous work, but deleting the town might be the only solution. 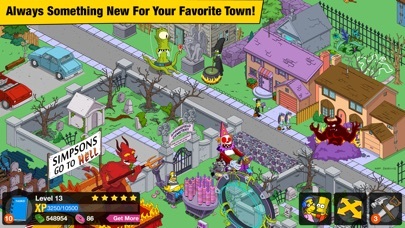 It’s a good game, but I’ve only been playing it a couple of days and it’s getting a little boring . Did they give up ? I use to love this game, but now with no updates no opportunities to get the stupid land expansions with out tokens it’s gotten frustrating. I’ve played this game from the beginning, going to give it a little bit longer before bailing but it seems like they have given up. 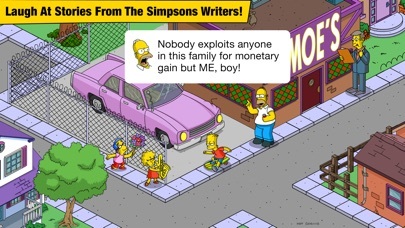 The game is great but you did nothing for Easter this time and that was disappointing! It would be 5 stars if you would do things for all holidays.